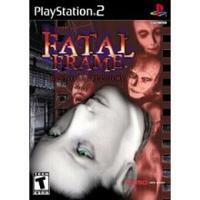 Created by the Tecmo development team responsible for the Deception series of games, Fatal Frame is a survival horror title based on the ancient belief that a camera can capture one's soul. As Miku, the younger sister of Mafuyu Hinasaki, players must explore Himuro Mansion in search of the girl's missing brother. The title is apparently based upon a true story, though certain aspects of the game have no doubt been fabricated to make it a more enjoyable video game experience.Equipped with a camera, which serves as both a weapon and tool for solving some of the game's puzzles, Miku must fend off the attacks of the numerous spirits that plague the area, while unraveling the mysteries surrounding the mansion. When assaulted by an apparition, players must attempt to capture it on film. A first-person view (seen through the camera lens) allows one to move and "shoot" simultaneously. The longer you manage to keep the ghost in the viewfinder, the more damage is dealt to it.Defeating a ghost rewards your character with spirit power; experience points that can be used to upgrade various attributes of your camera, including shutter speed, a larger view area, and the potential to inflict more damage. Much more than just an offensive weapon, the camera must be used to activate puzzles and to gain access to certain parts of the mansion. To aid the player in finding these clues, the controller's rumble will become increasingly stronger as you draw nearer to the object in question, and the filament will glow brighter. Notes and other documents discovered in the mansion usually reveal clues that help in solving some of the game's more obscure puzzles. Plot points however, are usually revealed through flashbacks, and other supernatural experiences.The game's requisite horror quotient is provided by the numerous ghosts and spirits that populate the various locales in and around this mysterious dwelling. Sharing a common heritage with titles such as Silent Hill 2 and Resident Evil, Fatal Frame provides a unique take on the genre, while providing plenty of the suspense and foreboding sense of fear normally associated with the genre.